Born in 1976. and works in Paris. Constance Guisset is a French Designer whose career is very original. After studying Economics and Commerce in Essec and I.E.P in Paris, and spending one year in Tokyo Parliament, she chose to turn to artistic creation. 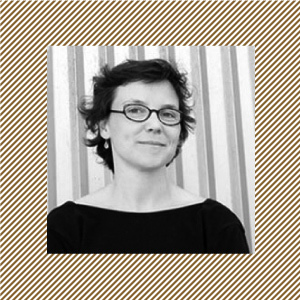 In 2008 she got a degree a ENSCI Les Ateliers and soon after, she received the Grand Prix du Design de la Ville de Paris , the Prix du Public at the Design Parade of the Villa Noailles en 2009. In 2010, she became The Designer of the Year at the Salon Maison et Objets and received the Audi Talents Awards. 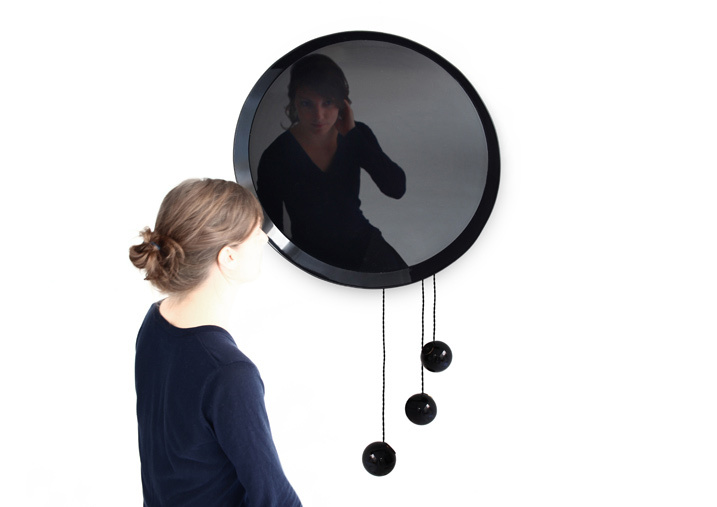 The very graphic and dreamlike mirror “Coulisse” was exhibited at the Design Stand of Art Paris. It has been one of the leading exhibit at the collective exhibition “Spirit of Light”, at the Cat-Berro Gallery last Spring. 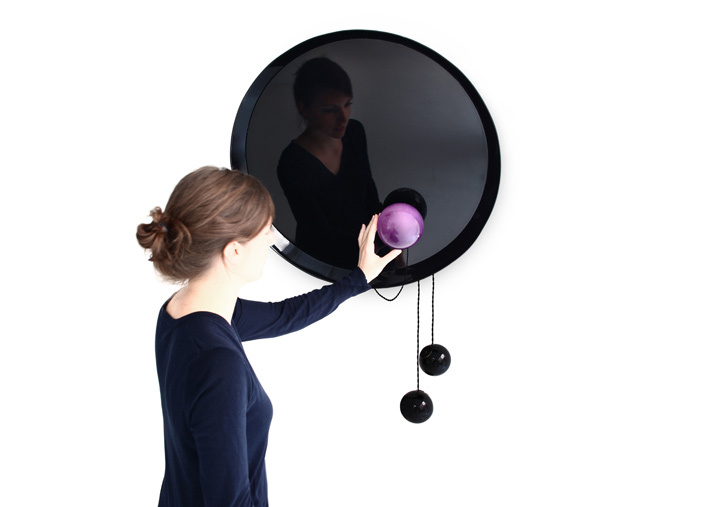 Coulisse is a black mirror from which black glass spheres are hung. 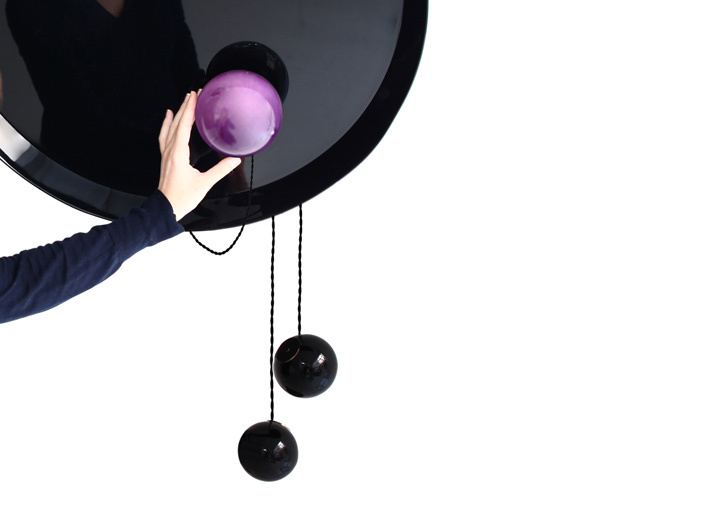 When the glass bubbles touch the mirror, they switch on and remain on the surface thanks to a magnetic system. Light reveals a translucid purple glass. 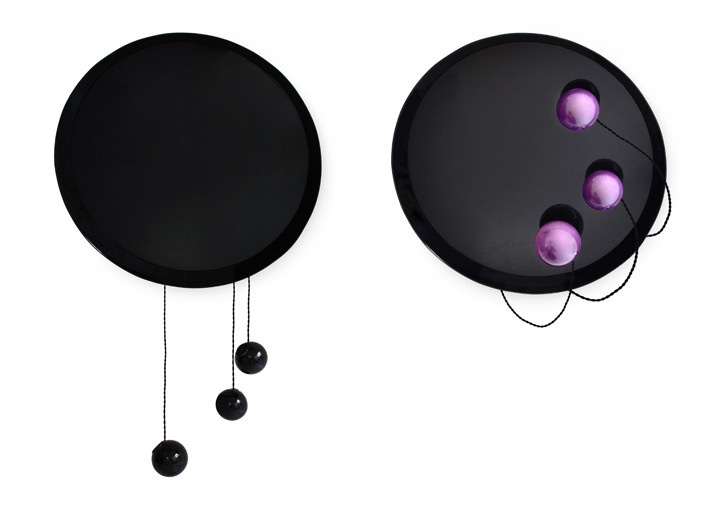 The bubbles reflect on an immaterial ground and create an imaginary landscape between danse mirror and constellation. 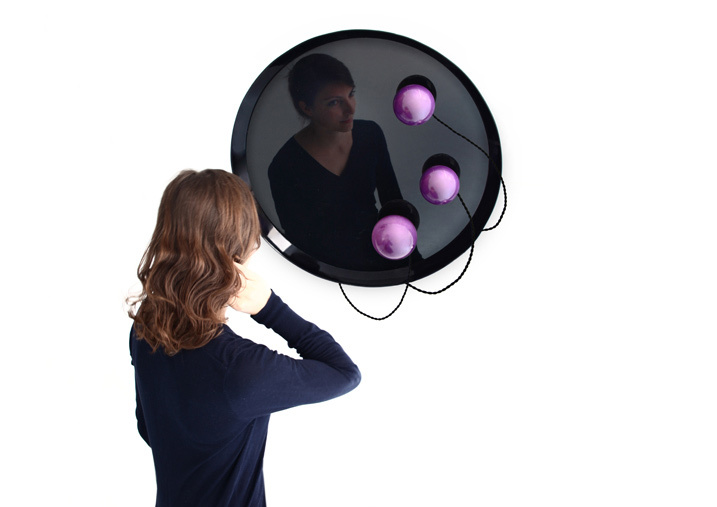 When a bubble is brought close to the mirror, it is attracted by the magnet and switches on. When black, the glass bubbles are like jewels that flow from the shimmering surface. Surprise comes with the switch on by magnets and the sudden colored transparency of the material. According to F. Cat-Berro’s small scoop back stage : Coulisse required more than six months for adjustment and each piece 2 weeks to be produced.